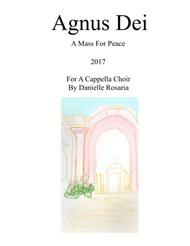 Composed by Danielle Rosaria. 21st Century, Sacred. Score. 12 pages. Published by Published by Danielle Rosaria (S0.234615). 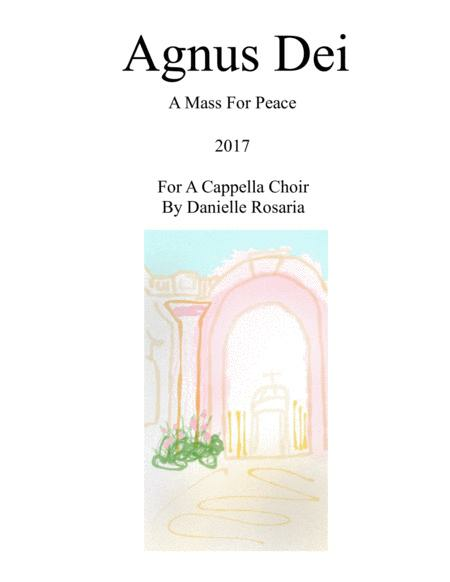 This is a new original arrangement of the Agnus Dei from the Catholic mass. It is appropriate for church or concert choir, early intermediate to professional level. It is a prayer for peace in a suffering yet hopeful world. quitollis peccata mundi: miserere nobis. quitollis peccata mundi: dona nobis pacem. You take away the sins of the world: have mercy on us.